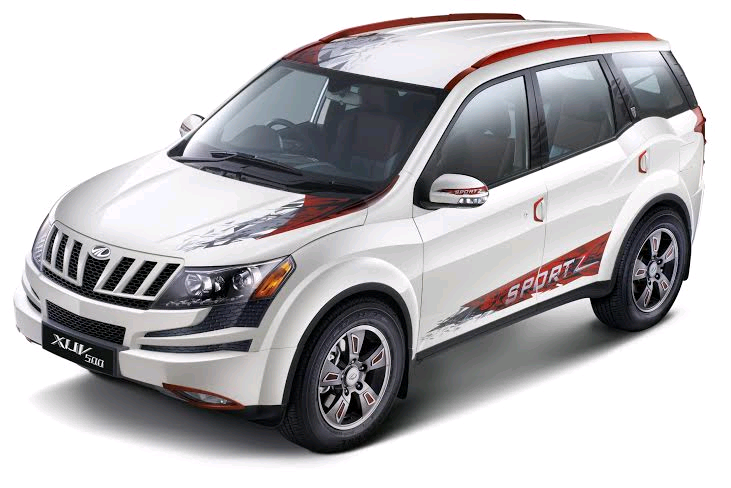 Mahindra & Mahindra has finally unveiled a limited Sports Edition for Mahindra XUV500 to go on sale in the Indian market. The Mahindra XUV500 Sportz is based on W10 grade of the SUV. The manual variant of Mahindra XUV500 Sportz is priced at INR 16.5 lakhs and the automatic variant of the same vehicle is priced at INR 17.56 lakhs. The SPortz edition was also launched previously before the facelift of XUV500 came out and the new one includes exclusive features such as a sporty bonut decals and mirror decals which are all borrowed from the W10 model. The SUV also offers reverse camera with guidelines, offline GPS, 7 inch touchscreen, Bluetooth, USB, ipod connectivity and climate control. The XUV 500 runs on a 2179 cc engine which gives out a maximum power of 140 bhp @ 3750 rpm and gives out a maximum torque of 330 Nm @ 1600-2800 rpm. The Mahindra XUV500 Sportz comes with a 6 speed manual and 6 speed automatic gearbox for different variants. It runs on standard AWD drive train.